Are Natural Vitamin Gummy Good For You? It seems too good to be true – vitamins that taste like candy – but is it true? Most vitamins come in pills or capsules, some in liquid form, but since the development of gummy vitamins, they have taken over almost 3% of the vitamin market in the United States and similar figures in the United Kingdom, and have had similar growth in other developed countries. This growth is continuing too, with no sign of slowing down. The concern most people have though, is whether or not they are as effective as the more traditional methods of supplementing our diets with vitamins. There is some good news for gummy-vitamin fans: Professor Zhaoping Li, Chief of the Division of Clinical Nutrition at the University of California, Los Angeles, states that there is no evidence that one form of vitamin is superior to another. She explains that gummies often include glucose syrup, food colouring, and stabilisers like citric acid – which are not particularly healthy – but that other forms of vitamin often contain these as well. 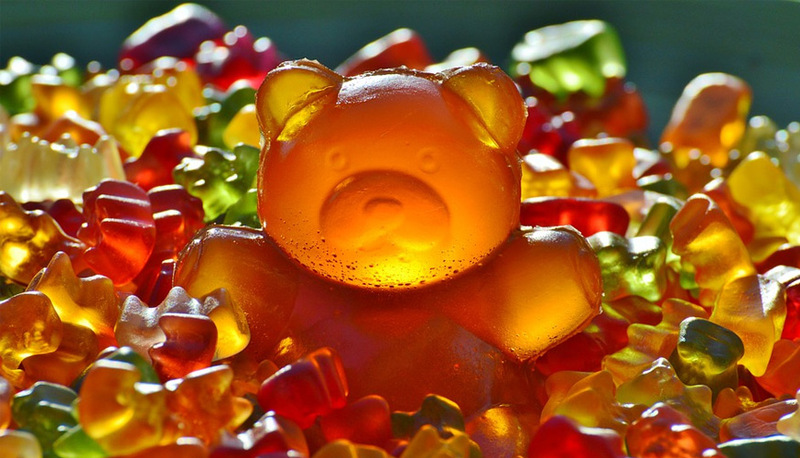 The main structure of a gummy vitamin is gelatine, which is not harmful. The key is not to designate one form or another as ‘good’ and something else as ‘not good,’ but rather to look at the ingredients of any specific vitamin product that interests you, regardless of the form it takes, and decide from that information. The main reason gummy vitamins are so tasty, is that they are often sweetened with sugar – like glucose or glucose syrup. Sugar in itself is not a problem, but too much of it can be. A single gummy vitamin usually has about 3 grams of sugar in it. A sugar packet from a coffee shop has about 4 grams. It can be easy to eat sugar without really being aware of it, as it is added to so many refined foods. People who regularly eat yogurt, specialty coffees (other than black), sauces and sugar in tea often take in a lot more sugar than they realise. This intake can increase risk of hypertension (high blood pressure), fatty liver disease, weight gain and diabetes. Each of these, in turn, increase the incidence of stroke and heart attack. For many people, what they drink brings in a third or more of their recommended sugar intake – and that’s before considering the gummies, any snacks, and that satisfying pudding after a meal. For many people, the added sugar in any vitamin isn’t worth it, when one can simply pop a vitamin into the mouth and wash it down with a sip of water. An example of these are the vitamin gummies from Yumi Nutrition. Vitamins Aren’t For Everyone – Even if they are a tasty gummy bear! For most people, it isn’t even necessary to take a vitamin supplement. A healthy diet, rich in fruit and vegetables (50% or more by volume), and including grains (25% or more by volume), will provide what the body needs without needing to resort to vitamin supplements. The main purpose of vitamin supplements is to treat deficiencies from an insufficient diet. If you live on hamburgers and French fries, a supplement may do you good – but keep in mind that it won’t stop the other negative health benefits of an imbalanced diet. Some containing biotin can be used to help with hair growth. The most common dietary imbalance is the habit of taking in too many calories, and not enough nutrients and fibre. This means a diet heavy in sugar and fats (which are necessary in small amounts), and low in nutrient-rich foods like vegetables, fruit and grains. Some groups of people are more prone to dietary deficiencies, even if they eat a balanced diet. The elderly, for example, often don’t get enough nutrients into their system due to a decrease in the overall amount of food eaten, and sometimes due to the body’s decreased ability to take in nutrients as we age. Those living with diabetes are also often in need of a supplement. Alcoholism has several implications for nutrition as well, both habitual and chemical, which mean that needed nutrients are often missing. Patients who have had weight-loss surgery or stomach restriction surgery are at high risk. Another group to consider is vegetarians and (even more so) vegans. There are very few vitamins that cannot be taken in in sufficient amounts through a vegetarian or vegan diet, but more care needs to be taken than with less restricted diets. Education on the subject is essential for healthy vegetarian and vegan eating. If you’re not sure if you need a vitamin supplement, ask your doctor or a nutritionist. Most gummy vitamins are marketed to children and women. This is because women are the most likely to shop for vitamins, and children are the most likely to prefer gummy vitamins, or to need them in order to take regular vitamins without conflict or resistance. Other vitamins are labelled for certain health concerns or needs, such as immune system support, gut health, or support for the elderly or pregnant. Be careful not to take in too much of certain vitamins though – too much of some things can be harmful. A good example is vitamin A. This is a fat-soluble vitamin that is absorbed into the body by bile acids. If a person were to take in a multivitamin, an immune boosting substance such as fish oil, eat milk and eggs (both rich in vitamin A), the result can cause damage to the liver and even eventual liver failure. Vitamin B, on the other hand, is easily absorbed into water in your body, and excess amounts of it are also easily flushed out by the kidneys. Taking too much vitamin B is not harmful – it’s just a needless expense. Just like you might need advice to know if you are taking enough vitamins, a doctor or nutritionist may be of help in determining if you are taking too many of a certain vitamin. The negative results of over-taking certain vitamins are worth watching out for if you have a good diet and are also taking in supplements. Posted bySteven Leighton March 8, 2019 March 8, 2019 Posted inUncategorizedLeave a comment on Are Natural Vitamin Gummy Good For You? When you’ve got a new child, you want a lovely place to relax and enjoy food with them, exploring the elements and teaching them about the natural world. That’s why we recommend you have a nice cozy patio area with seating to enjoy a lovely al fresco breakfast with your new born! 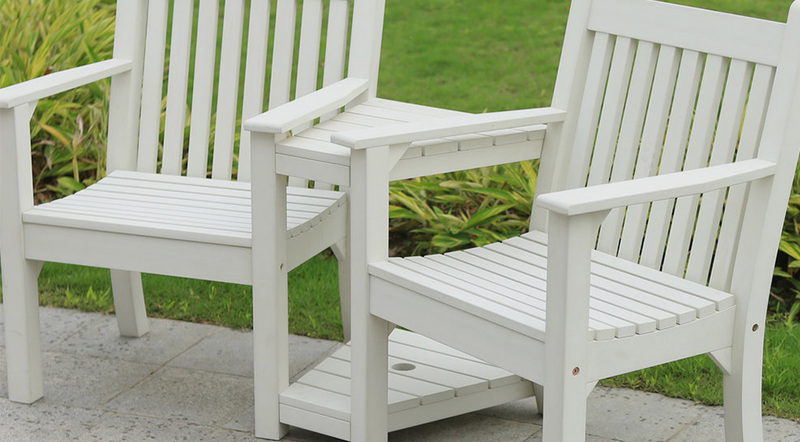 Whether you go for a comfy two seater love seat, a rocking and reclining rattan bistro set, or simply a plastic garden chair set, you’ll have a space you can love and enjoy for years to come. One point to note is that we recommend you choose all weather garden furniture, to ensure it can be left outside all year without you having to waste your precious time maintaining it! Here are my favourite sets to enjoy your breakfast in the garden or patio area, with a range of prices and styles, all available for UK home delivery. This is the wood-effect bistro set from Winawood™, which combines traditional styling with man made durability. It requires no maintenance, and comes with 2 arm chairs and a side table. Similar to the first bistro set, this one comes in a much nicer “latte” colour, which looks fantastic in a normal garden setting. It again comes with the rocking recliner arm chairs, which are a fantastic addition to anyone’s garden. These are my top thoughts on garden bistro sets for enjoying with children during breakfast, the photos and products of these garden bistro sets are from Garden Centre Shopping UK, who are based at a real garden centre.